Catherine Delores Williams was born October 24, 1953, in Ripley TN to Pearle Harland Williams and Louis Williams Sr. On August 31, 2018, she transitioned at home. Legacy farewell services will be held on Saturday, September 29, 2018, at 214 E Britain Ave, Benton Harbor, MI 49022, with visitation starting at 10:00 am followed by service at 11:00 am. Catherine loves her family and friends she enjoyed gathering together for family events she loves cooking, singing, and talking mess. She was known for doing just that. She was a woman of God she was a believer of the Lord and she had strong faith. Catherine has now she went home to with her heavenly father. 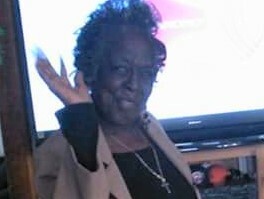 She leaves to her memories, One son Joseph L. Williams Sr., two daughters Janice (Moscoe) White, Joeanner (Carlos) Williams. 8 grandchildren Joseph Williams Jr., Javonica (Chris) Jones, Tiata Jones, Kalasandra Kelly, Ladrisha Osler, Lucas Osler, Jakarla Kelly, Kare'yenna Kelly Special step-children Darla K. Hildreth, Joyce Randle, Jacqueline (Teddy) Coleman, Johnny (Helen) Randle, Julius (Aileen) Randle, Jerome (Chrissy) Randle, Hattie Therisa Taylor, Roosevelt Randle and host of grandchildren, great- grandchildren, and family and friends. She preceded in death by her father Louis Williams Sr. mother Pearle Harland Williams, husband Johnny L. Hanney sister Kattie M. Campbell, brothers Louis Williams Jr., and Willis Lee Williams, grandchildren Karlos Q. Kelly Jr., Christopher D. Caston Jr. Special daughter in law Cecilia Coleman and close friend LaVern Suggs.